Please check back for updated information on this retreat. 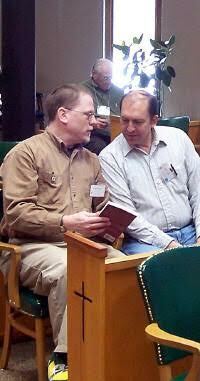 The retreat conferences were excellent. So much food for thought and nourishment for the soul. Lots to take into prayer and on my daily faith walk. The blend of scheduled time to free time is just right. It allows me to reflect, refresh and recharge my soul to put a little bounce in my step! A non-refundable registration fee of $30.00 per person is required and must be received in order to reserve a room. Suggested offering for our weekend and mid-week retreats is $160 (includes programs, meals and private room with shared shower/toilet. Our Men’s Retreats provide an opportunity for men to gather together to focus on their spiritual lives. 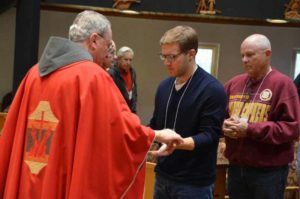 Men have been a strong presence at Franciscan Retreats and Spirituality Center from the beginning. Men continue to be bring their solid faith, love of the Church and faithfulness to the Gospel message to the retreats they attend here.